What's your first response when you discover that your child is missing? If you are like most parents, you immediately feel terror, as you imagine the one hundred and one bad things that could be happening to your child. It is important to remain calm though, as what you do first might mean the difference between whether or not you have a happy ending. In addition to calling for help, the first thing to do is check the places in and around your home that pose the greatest hazard to your child. Keep in mind that your child could drown in just seconds or minutes in a backyard pool or pond, so that should be where you check first, instead of underneath all of the beds or in the guest-room closet. If your younger child is simply hiding some place inside the house, she will likely still be okay, even if you don't find her for 15 or 20 minutes, although she probably wouldn't last that long in the trunk of your hot car, in a hot tub, or on a busy street. And while continuing to check high danger areas, have someone check nearby 'fun' areas, including playgrounds. Things are pretty much the same if your child gets lost in a public place, although it may be easier to get help if you are in a kid-friendly location, like a supermarket, zoo, or amusement park. Ask a nearby worker for help, who can then hopefully notify someone in security or a manager and issue a Code Adam. While it is scary when you child is missing, keep in mind that statistics show that "99.8 percent of the children who go missing do come home." You should also call the National Center for Missing & Exploited Children at 1-800-THE-LOST (1-800-843-5678) for more help and advice. The Family Survival Guide from the US Dept. of Justice is another great resource for parents and can help them know what to do and expect, especially during the first 48 hours that they discover that their child is missing. Remember that you don't have to wait 24 hours or any length of time if your child is missing, even if it is an older teen who is missing. Don't wait too long to report your missing child to law enforcement. The more people looking for your child, especially professionals, the better. Childproof your home so that your younger kids can't get outside on their own. Just as importantly, make sure any home your are visiting is childproofed, otherwise keep a very close eye on your kids. Have a designated 'watcher' for each young child, especially at parties, when their can be a lot of kids running around and a lot of people coming and going from the house. A watcher or buddy can also be a good idea at busy, public places. Know where high danger areas are in and around your home so that you know where to check if your child is missing. Have a recent picture of your child that you can give to law enforcement to help in a search if that becomes necessary. Teach your kids your full name, cell phone number, and a few alternative numbers if possible, and your address. Most can at least learn their phone number by the time they are four or five years old. If they don't, consider giving them a safety tag or bracelet with that information when you are out in a busy public place. Choose a designated meeting area whenever you are out in public with your kids in case you get separated. If you have an autistic child, who is likely prone to wandering, having a plan to keep him safe is even more important. Studies have shown that nearly half of children with autism unintentionally expose themselves to "potential danger by leaving a supervised, safe space or the care of a responsible person." 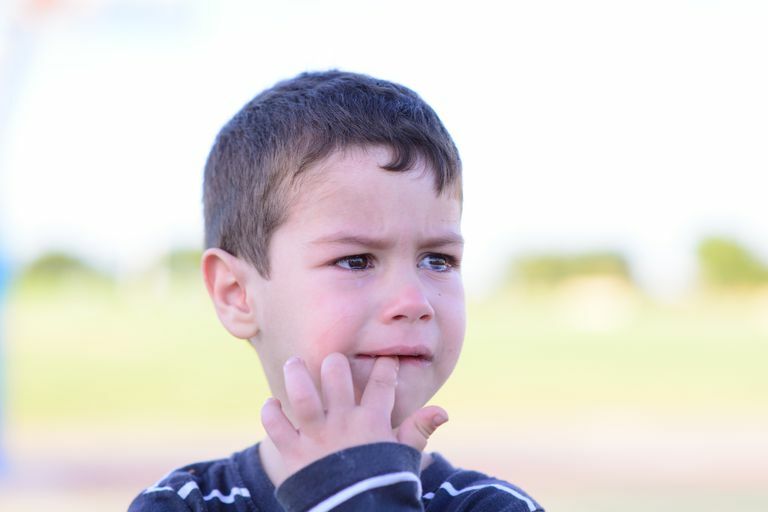 If your child is lost or missing, call for help and check the areas that pose the highest danger to your child first, especially any bodies of water (pools, ponds, and lakes, etc.) and unlocked cars.